Pineridge Hotel is situated right on the Mall. 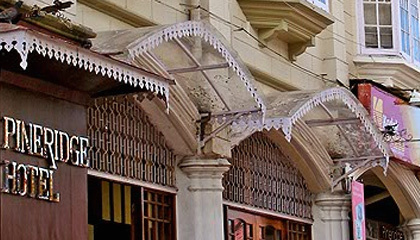 Pineridge Hotel is one of the favored hotels in Darjeeling. 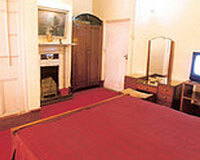 The hotel is conveniently located in the Mall from where tourist can easily access famous attractions of Darjeeling. The hotel itself is a magnificent building easily recognizable because of its intricate design and architectural opulence. It is set amidst lush green lawns and flower garden dotted with unique selection of colorful flowers. The Hotel has its own travel and trekking guidance and equipment facilities, a shopping arcade with curio shops and boutiques. Pineridge Hotel has something for everyone coming to visit Darjeeling. Pineridge Hotel offers 32 well appointed rooms fully furnished with latest modern in-room facilities and 24 hours room service.